When discussing the health of the economy, one of the important measures that shows the strength of it, is the unemployment rate. The unemployment rate is measured by the number of people available for work who don’t have jobs and have actively looked for one in the past four weeks. The economy needs a low unemployment rate because with a low rate, more people have jobs and are willing to spend money. This will improve the economy by stimulating businesses. However, there can be a point of diminishing returns where too much unemployment can be damaging. That’s why we want to stay around the point of full employment. Full employment is the lowest point of unemployment we can get to before starting to cause inflation. To avoid inflation, it was estimated that full employment should be at around 5%. In March 2019, the unemployment rate came in at 3.8%. It’s been around this rate since April 2018 and even reached a 49-year low in November 2018 at 3.7%. Like we mentioned above, unemployment is measured by the number of people available for work who don’t have jobs and have actively looked for a job in the past four weeks. However, a fuller unemployment measure should include discouraged workers who have stopped looking because they thought there were no openings. When including discouraged workers, the unemployment rate tends to be a full percentage point higher. To find out what causes a higher unemployment rate, we need to understand the different types of unemployment. Cyclical unemployment is unemployment that rises and falls within the normal business cycle. If the economy is in a recession, then unemployment rises. If the economy is doing well then, the unemployment rate falls. When in recession the government will lower interest rates to encourage spending and stimulate the economy. On the other side, when we reach the point of full employment the government increases interest rates to control inflation. This is the type of unemployment that government policies have the most effect on. Structural unemployment is when the available jobs or in demand jobs require a skill set that most unemployed people do not possess. The skills gap has become an issue in recent years with more people going to college instead of trade schools. This leaves a lot of industries struggling to fill positions which causes costs to go up. This is similar to voluntary unemployment where someone chooses to remain unemployed because they are looking for a specific job or wage. Frictional unemployment refers to people who are in between jobs for any reason. This includes when someone leaves a job with another one already in place but hasn’t started working. This includes anyone who quit or was fired from a job for reasons unrelated to the economy. When the economy is at full employment that increases the competition between companies to find employees. This means skilled workers can demand higher wages with more benefits and businesses are more likely to grant them. This can be very good for individuals but bad for the economy over time. If wages increase on an international scale, the costs of goods and services would increase as well to match the salaries of employees. This can cause inflation and diminish the value of currency if left unchecked. One-way companies are trying to meet the salary demands of employees while keeping costs down is investing in automation and outsourcing staffing. 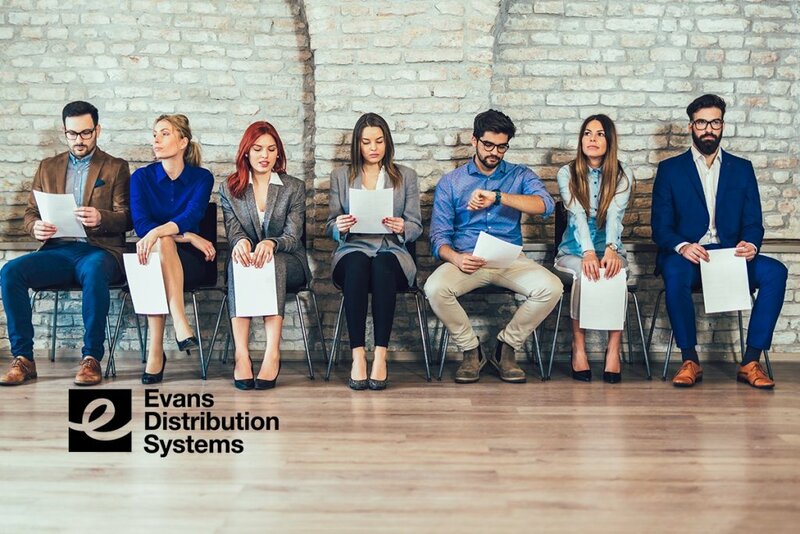 This is one of the reasons why Evans Resource Solutions (ERS), a business division of Evans Distribution Systems, was created. ERS is a staffing service that specializes in logistics-related positions. They provide staffing solutions for both temporary and long-term needs. Companies can save money by outsourcing this service, because it allows more resources to be used to improve products or services instead of recruiting. Nathan Wheeling Joins Our Team – Welcome!